Grandparents are the best, and most of us share a special bond with them. It's no different for freelance stylist and makeup artist Sohni Juneja, whose 90-something grandmother is also her muse. Sohni's grandmother is suffering from early stages of Alzheimer's disease, but that doesn't stop her from modelling the most gorgeous braided hairdos every day. Sohni and her family dresses up her grandmother every morning, so one day she decided to try on some different hairstyles on her. She told Vagabomb, "Ditching the regular hairdos, I tried something different on her, and that looked beautiful on her grey hair. Who says you can't be young and stylish at 90? 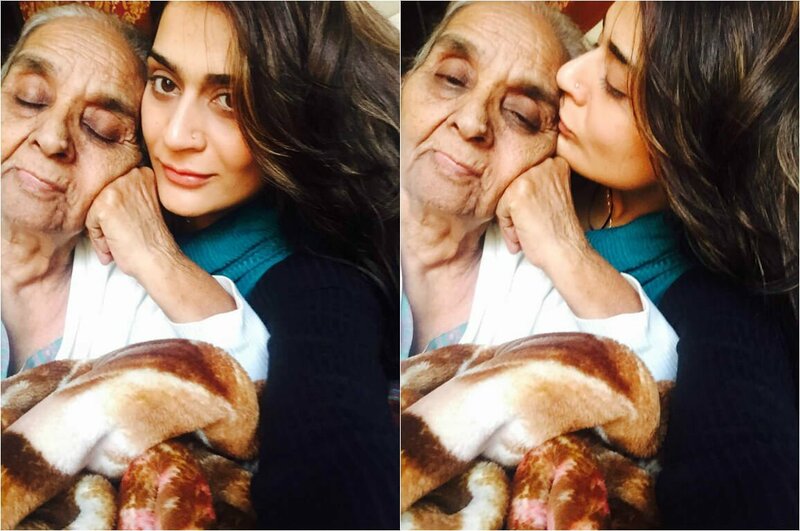 Dadi is totally slaying the looks." Look at Sohni's grandma rocking everything from a Khaleesi-esque hairdo to romantic braids. Sohni said, "The smile on grandma's face, and the blessings that keep coming from her, are bigger than any award, and more exciting than working on any celeb. God bless grandparents!" All images are property of Sohni Juneja and have been reprinted with permission.